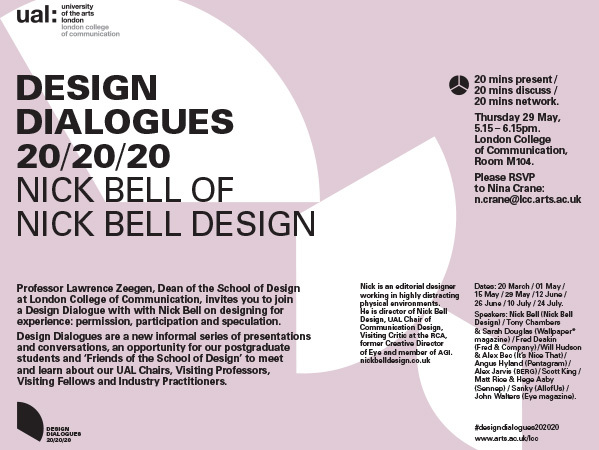 Lawrence Zeegen, Dean of the School of Design at the London College of Communication, has invited Nick Bell, UAL Chair of Communication Design, to speak as part of his ‘Design Dialogues’ series of ‘20/20/20’ talks. The event, for LCC postgraduate students only, happens at the London College of Communication on Thursday 29 May. 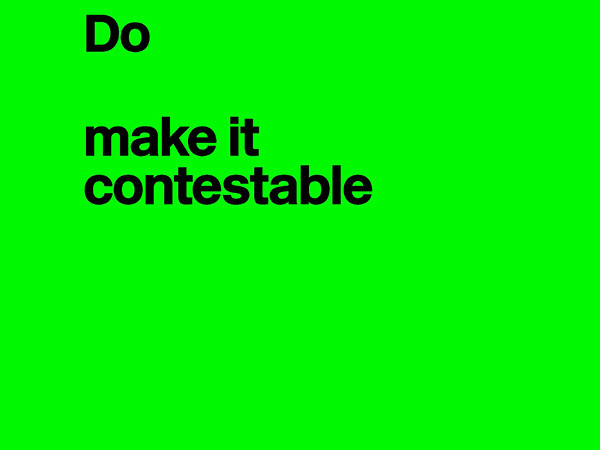 The title of the talk is ‘Designing for experience: permission, participation and speculation’ and will be an expanded version of the talk he gave at CSM’s ‘Chaos at the Museum’ summit on exhibition design at the end of April.